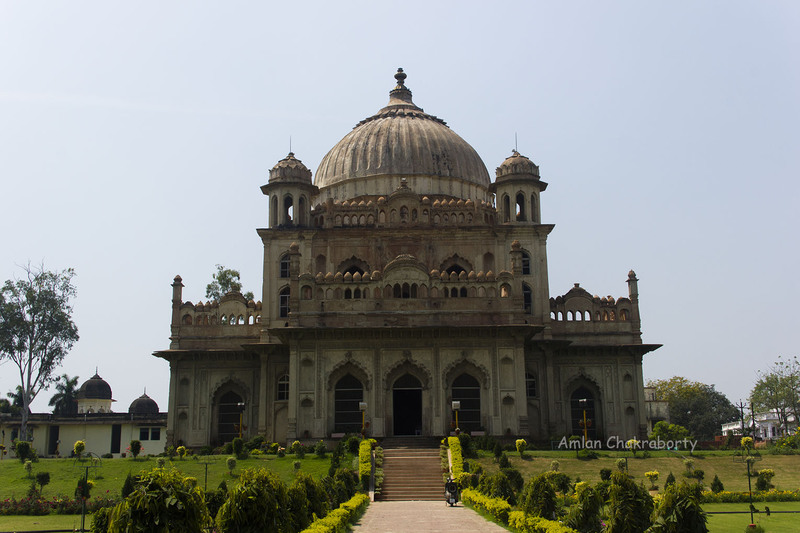 Lucknow Travel Guide for a "Two day trip"
Lucknow – The capital city of Awadh has its own legacy that makes it different from others. 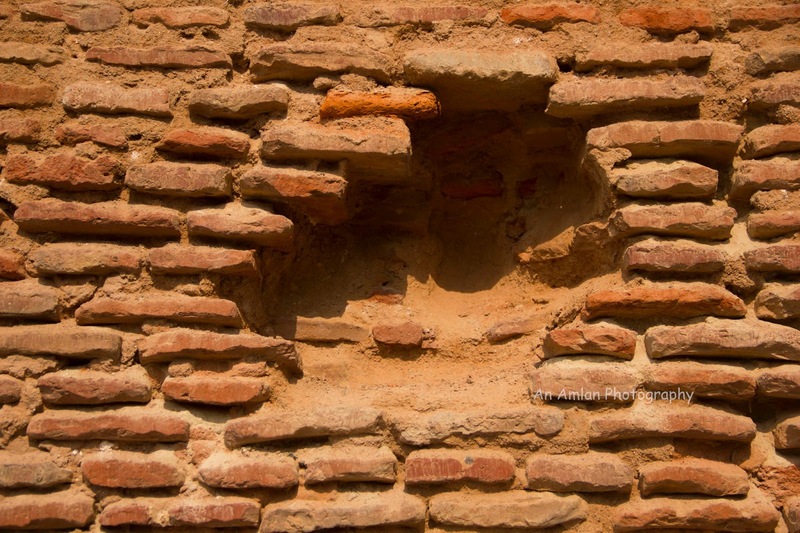 The city has its own history from ancient India. But Lucknow reached at its highest level when Nawab Asad-ud-Doulla shifted the capital of Awadh from Faizabad to Lucknow. He had an intention to make his capital even superior than Delhi. He started constructing buildings, mosques and Imambara. The financial condition of Lucknow was not affluent at that time this helped him to be popular as his constructions created thousands of jobs. It is not at all possible to see or feel the charm of such a city like Lucknow. 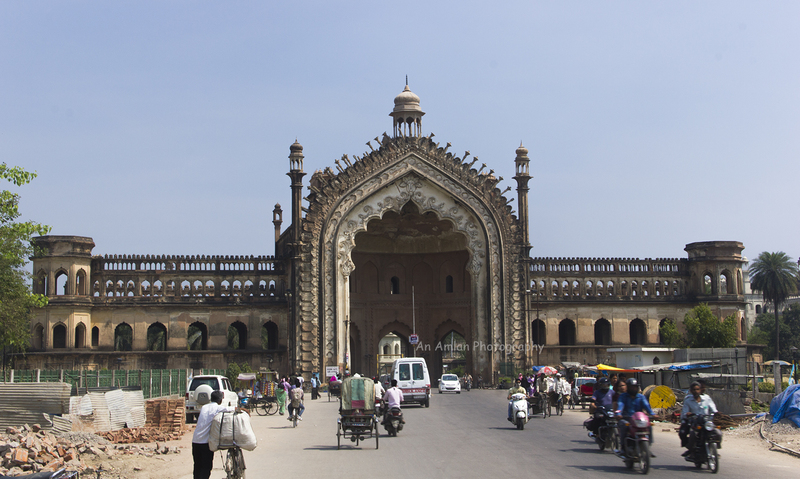 But one of the serious reader of my blog once asked for an itinerary of Lucknow for 2 days. Usually I have found people staying in Lucknow only for 2 days. So here is the plan for A two days tour. I assume you reach Lucknow in the morning and will stay in Old Lucknow. Auto rickshaw and your god gifted feet are the best options for travel in Lucknow. Asafi Imambara or Bara Imambara was created to protect the royal family from the enemy attack with extreme architectural calculation. The main entrance can be visible from first two floors so that any intruder can be tracked. Even a whisper is clearly audible from the other side of the room. 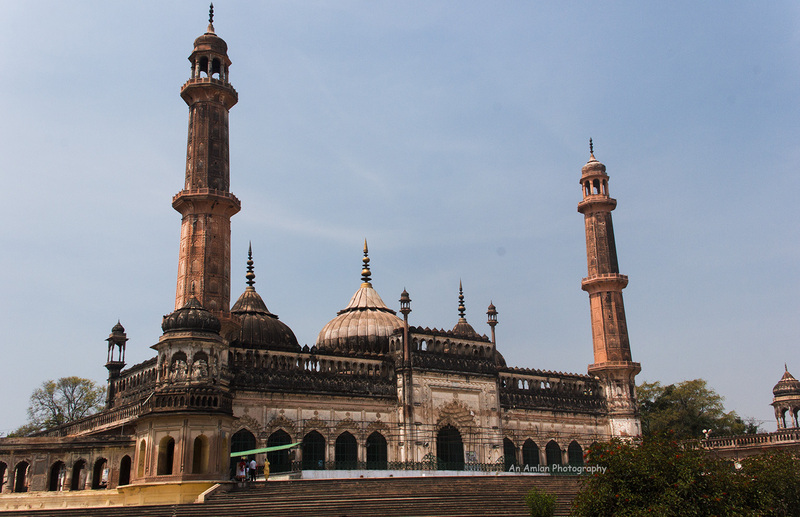 If you think that you are enough surprised to get the architectural beauty of the Imambara, you are absolutely wrong. 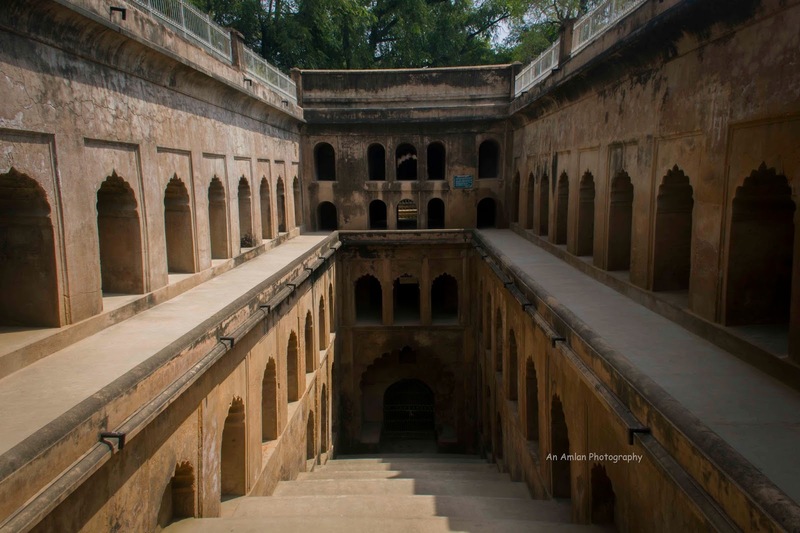 There are more in Shahi Baoli (Stepped well) . Though it was a water reservoir but it contains an underground labyrinth. The shadow of anybody in the main sanctum can be visible in the water. This is fun. But please bargain before riding. They should not ask for more than hundred rupees. Tonga will show you Rumi Darwaza, Clock Tower, Picture Gallery and then leave drop you at Chhota Imambara. Instead of leaving the tonga puller please ask him to wait so that you can return to the gate of Bara Imambara. 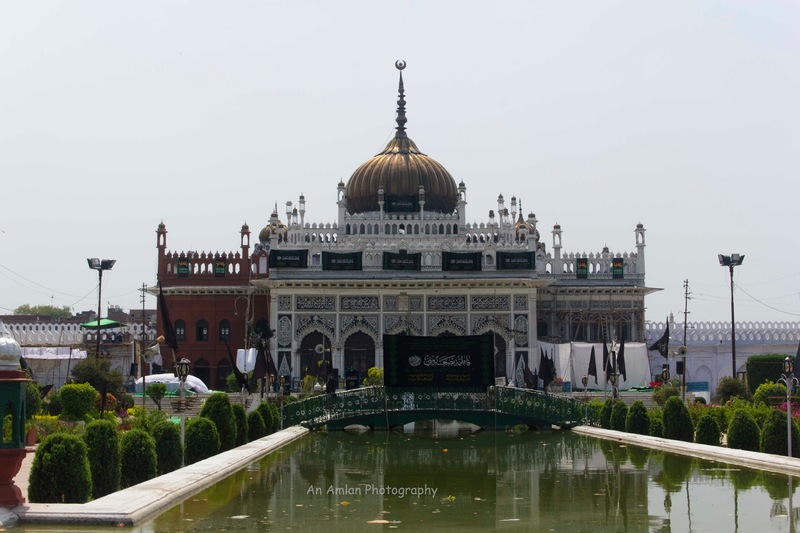 Nawab Muahammad Ali Shah had no intention to challenge Bara Imambara but he wanted to create another one to portray the richness and glory by constructing a new Imambara. If Bara Imambara is like a veteran saint then Chhota Imambara is like a bride in her wedding ceremony. Use of white marbel in the structure and golden dome gives the first impression. The main hall of Chhota Imambara is decorated with costly mirrors of Belgian glass, paintings, photographs, chandeliers etc. I bet, you have never seen so many design of chandeliers and glass. This will make you feeling the taste of the Nawab. I hope it is about 12.30 PM and you need to take some rest. Moreover your stomach is asking for some food. Well, I expect you are also a foody like me. Please take an auto rickshaw and get down at Khayal Chowk, Aminabad. Everybody will guide you for the shop. Lucknow’s own recipe is Galouti Kabab and Tundey Kababi has carrying the legacy of Awadh till now. 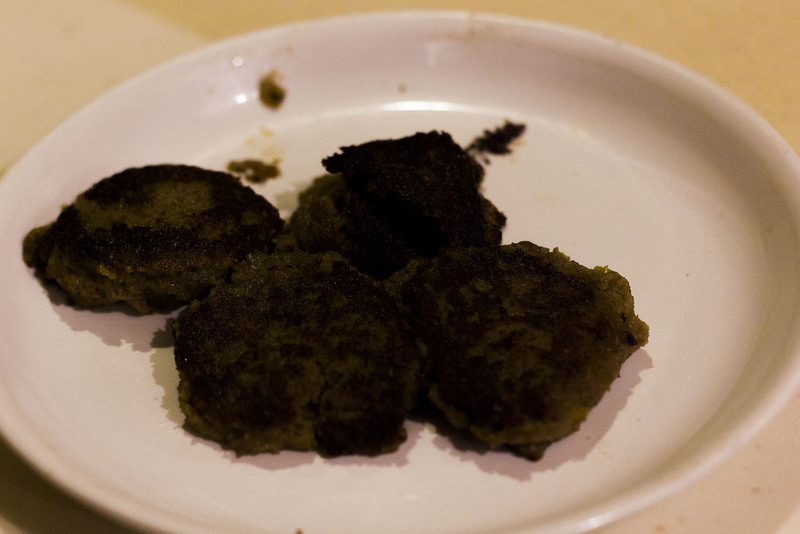 Galouti Kabab is a minced beef/ buffalo meat marinated with a number of spices (they say, 160) and finally barbequed with high flame. It is suggested to take “Parantha” with it and experience the foodgasm. 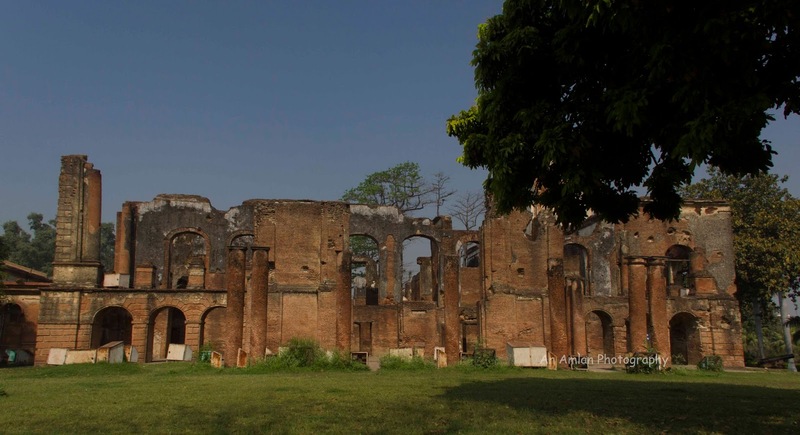 Nawab Asaf Ud Doula started building this area, all his successors continued their work on it and finally concluded by British. Every lane bi lane has their own stories to tell. Be patient, keep your eyes open and listen to them. You can hear the rise and fall of the golden era of Lucknow. Your roaming around Qaiser Bagh will reach at the climax when you arrive in front of the Tombs of Saadat Ali Khan and his wife Khurishid Zahi. These two architectures are not only wonderful because of the design but also tell the tale of last golden era of Lucknow. By this time you get enough tired. So it is better to go back to hotel but before that please have some street food. Aminabad, Qaiser Bagh are the hubs for street food. 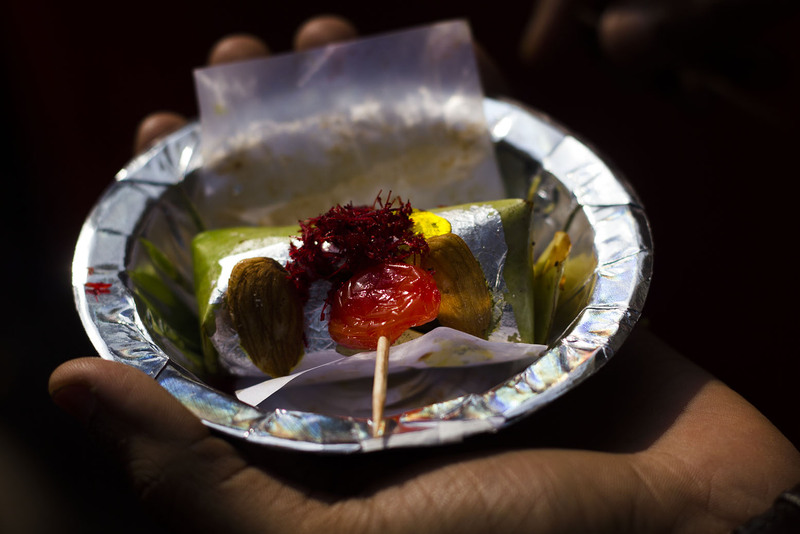 Vara, Chaats, Alu Tikki, Pani puri are some remarkable dishes. You can find lots of kabab stalls in the streets. Please do not think of hygiene. Unhygienic street foods are always delicious. Next morning start a fresh with your first visit at The Residency. You will feel like the mutiny is taking place in front of your eyes. Biriyani. The favourite most dish for most of the people of Indian subcontinent has its own recipe in Lucknow. Most of the Indians (including me) believe that Lucknow Awadhi Biriyani is the actual recipe. There are some historical evidences also. Leaving all those theoretical fact, enjoy Awadhi Biriyani. Tundey Kababi is the best place to get Biriyani. If you want to try more then please browse to Zomato. Please do not miss it. This must be there after your lunch and dinner. There are various Paan stalls in the market. Go and have it. If you have more time then you can go to Kaazmain, Chhattar Manzil and other spots. Stay at Old Lucknow. Do not stay at Gomati Nagar. It will cost huge in transport. Travel either by auto rickshaw or by your feet. Be a bargainer. Else it will be 40% over budgeted tour. Be aware of your surroundings. Lucknow is prone to communal riot for last two years. Carry a bottle of water with you. This part of India is very hot and do not drink water from everywhere. Instead drink mineral water. Increase your onion intake if you are not going in winter. Onion will help you from heat stroke. I’d need to test with you here. Which isn’t something I usually do! I enjoy reading a post that may make people think. Also, thanks for permitting me to comment!